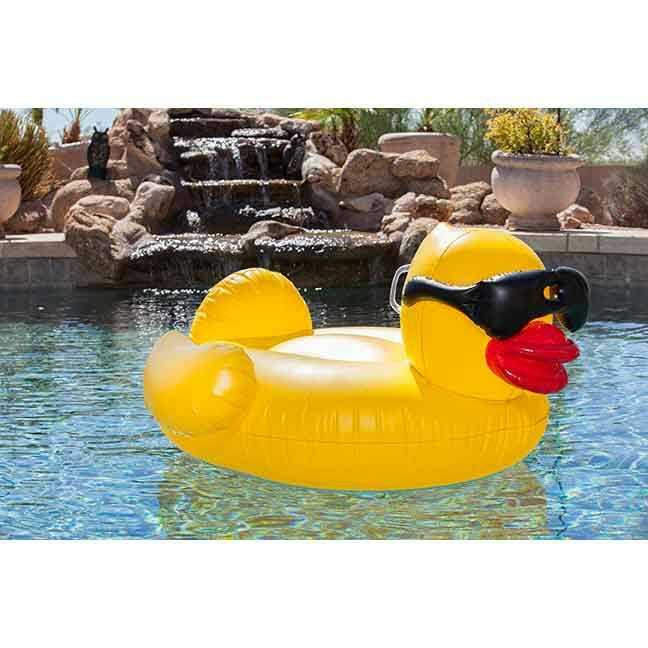 You're used to racing the classic Derby Ducks across the pool. 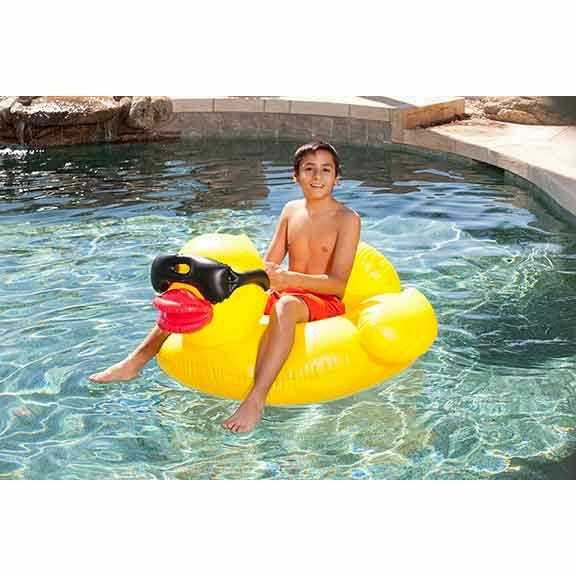 Now with this Inflatable Duck, you can race on one. 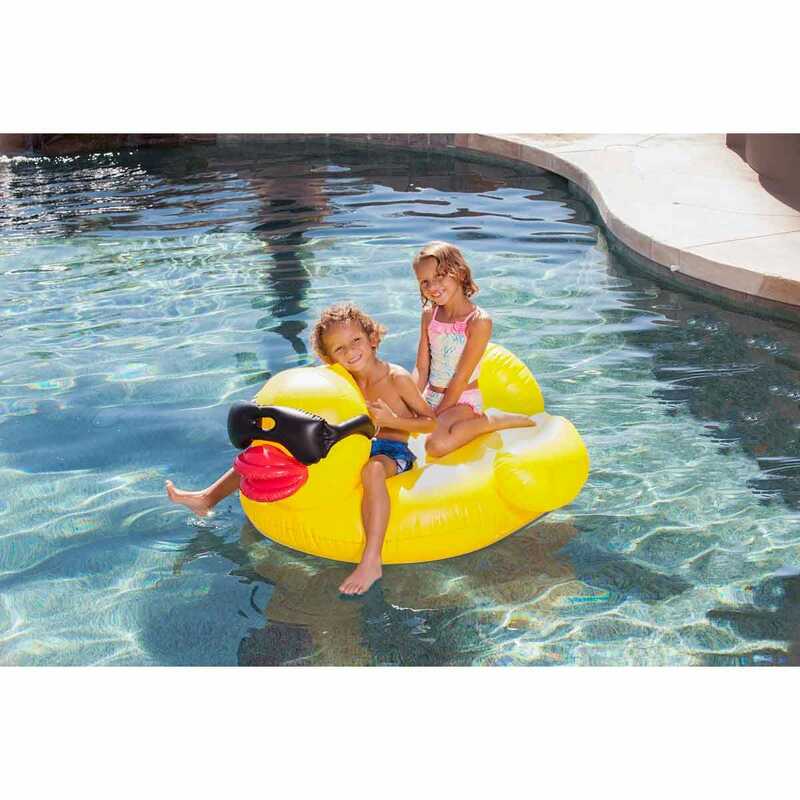 Made of heavy-duty vinyl, it supports up to 175 lbs., so multiple kids or one adult can lounge around on it, feeling pretty ducky. Measures 4’l x 3 1/2’w x 2 1/4’h.